Las Vegas is famous for its towering casinos, 24/7 gambling, and glittery shows. With its bright lights, the extravagant entertainment, and never-ending cocktails, Las Vegas is certainly a “grown-up” amusement park filled with exotic and diverse attractions. However, another obsession is burning bright in the desert – one that pulls visitors in from around the world. Shopping! Home of two expansive premium outlet malls, Las Vegas represents an exciting pilgrimage for shoppers of every age and style. 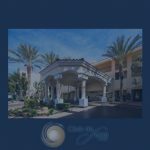 Here’s what you need to know about Las Vegas’ Premium Outlet Malls to maximize your shopping adventure the next time you’re at Club de Soleil! In 2003, mega retail trust Simon Property Group unveiled their 435,000 sq. ft. Premium Outlet Mall, which is now known as North Premium Outlets. A thriving success and iconic Las Vegas tourist and local favorite, the outlet was expanded to 540,000 sq. ft. in 2008 and was then fully remodeled in 2011. Adding convenience for shoppers, the Premium Outlet Mall now has two locations in Las Vegas – offering a diverse experience with numerous unique brands. Las Vegas Premium Outlets North is located in the hot and newly revitalized Downtown Las Vegas area. Just minutes off the famed Strip, the North Outlet is easily accessible from I-15, Exit 41B – Charleston Boulevard. Near the trendy and bustling Fremont Street Experience, this hugely popular shopping destination is easily accessible by taxi and public transit. An outdoor mall – the North Premium Outlets feature misters to help combat the Vegas summer heat. A newly added Cheesecake Factory adds a delicious food stop, amidst the 40 acres of retailers and shops. Shop till you drop at the North Outlets, which features 175 outlet stores – ranging from high-end brands like Kate Spade and Michael Kors to popular retailers like Ann Taylor and Hot Topic. Enjoy the leisurely vibe and close proximity to downtown Las Vegas. A mere eight miles from the North Premium Outlets is the second of Las Vegas’ famous outlets – the South Premium Outlets. Located less than three miles from the Strip, the South Outlets are easily accessible from I-15 and I-215. Slightly south of the center of Las Vegas, the South Premium Outlets serve vacationers, as well as the surrounding neighbors of Henderson. This beautiful indoor, climate-controlled outlet features 140 stores and shops and a newly renovated outdoor walkway and retail center. Scattered throughout the indoor outlet are fast food and “food court” style offers – ensuring you keep up your energy and hydration for more hours of strolling and shopping. Vegas offers so much more than gambling! Shop some of the most desired and renowned names in fashion – all at outlet prices. You might want to bring another suitcase to travel home with all of your amazing outlet finds!